One can take a car from Siliguri in West Bengal, India to reach Kaluk, West Sikkim, India. Kaluk is almost 145 kms away from Siliguri, West Bengal, India. One can also reach Kaluk from Gangtok or Jorethang. 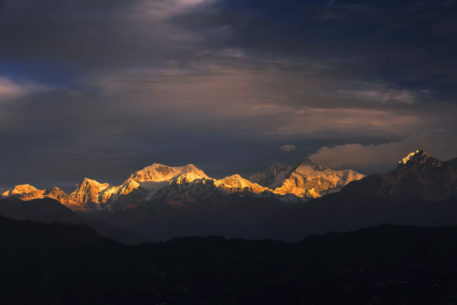 Kaluk is almost 35 kms away from Jorethang and almost 120 kms from Gangtok, Sikkim's capital city. This picture was taken in December 2017 from Kaluk, West Sikkim, India.